Summary from the Student Press Law Center Resource Library: In addition to the First Amendment to the U.S. Constitution, states can provide additional free speech protection their own citizens by enacting state laws or regulations. The Washington Administrative Code’s section on Student Rights is such a provision and may provide students attending Washington public high schools with added protection against administrative censorship. (2) All students possess the constitutional right to freedom of speech and press, the constitutional right to peaceably assemble and to petition the government and its representatives for a redress of grievances, the constitutional right to the free exercise of religion and to have their schools free from sectarian control or influence, subject to reasonable limitations upon the time, place, and manner of exercising such right. The foregoing enumeration of rights shall not be construed to deny or disparage other rights set forth in the constitution and the laws of the state of Washington or the rights retained by the people. >> Click here to send us comments. Since 1974, the Student Press Law Center has been the nation’s only legal assistance agency devoted exclusively to educating high school and college journalists about the rights and responsibilities embodied in the First Amendment and supporting the student news media in their struggle to cover important issues free from censorship. Do you need some support and ideas about how to ensure First Amendment rights for students at your school? 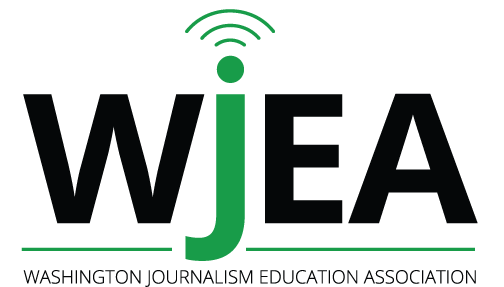 Check out the new JEA Scholastic Press Rights Commission Podcast. It’s part of our “ThinkFirst” campaign encouraging all students, staff and administrators to become better educated about this important “Right to Know.” Subscribe via iTunes.